Shades — SBS - The Shutter, Blind & Shade Co. Luxury, elegance, fashion or flare. 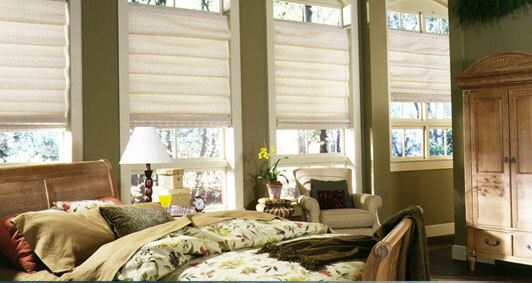 Make your shades express your personality while protecting your room and furnishings from light and air. Grace your room with an array of choices & beautiful materials. 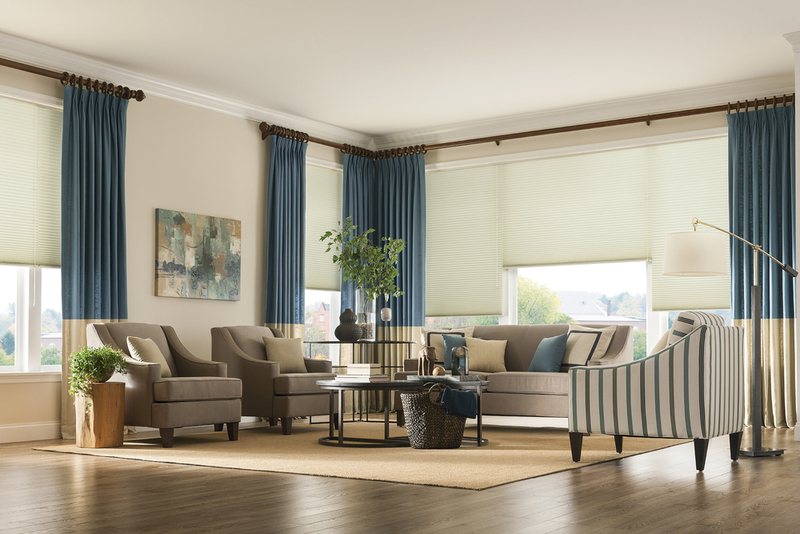 Roller shades offer both style and function. There is no limit to the looks you can achieve. 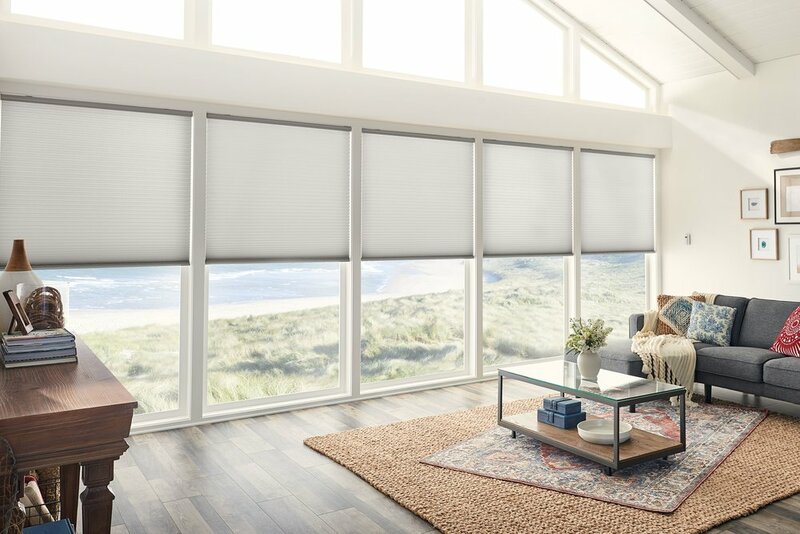 Today’s roller shades have so many style possibilities from screens, fashion forward prints and weaves. 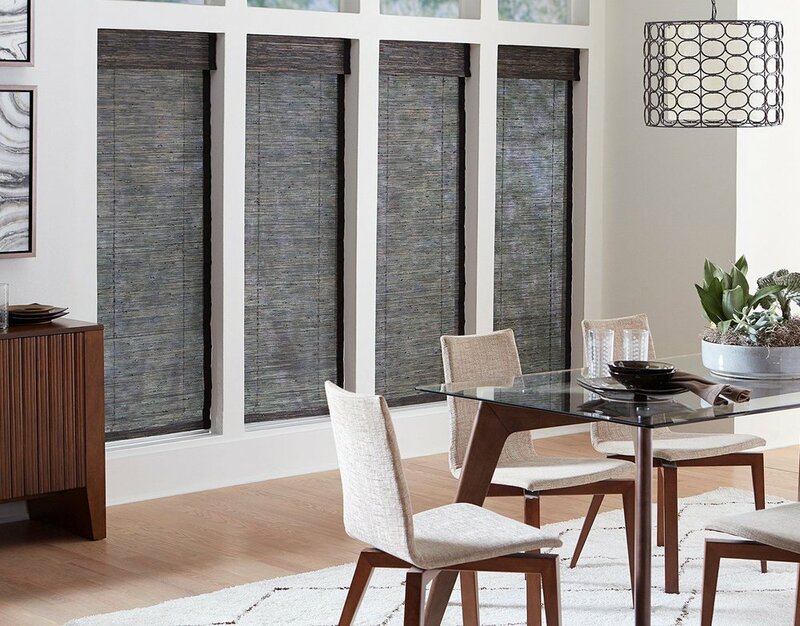 The beauty of cellular shades is uniquely complemented by their practical and functional elements. 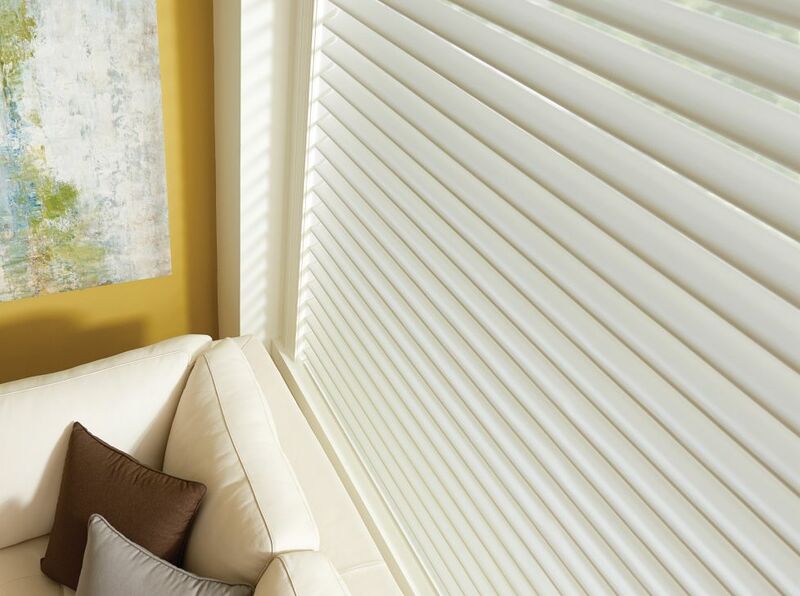 Crisp cellular pleats last a lifetime, each cell creating an insulation pocket of air to deflect summer heat and winter cold, making them extremely energy efficient. 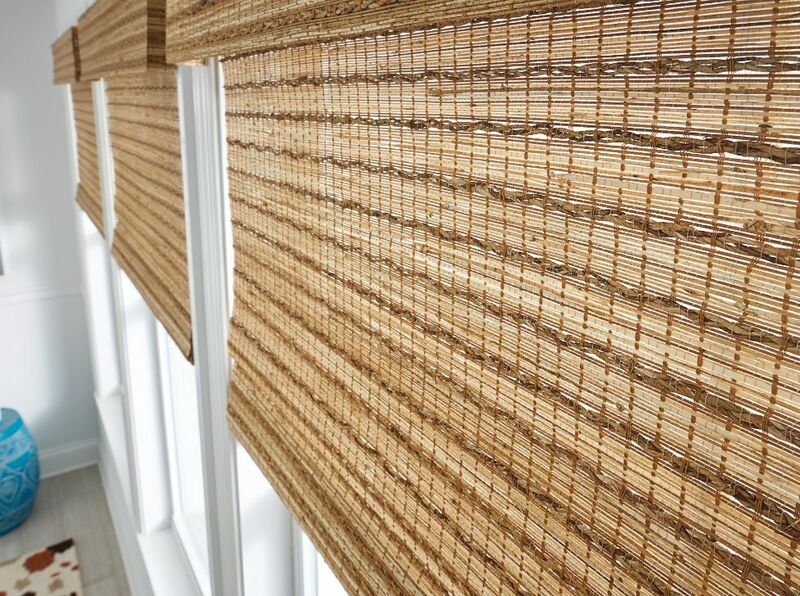 Woven shades are a striking mixture of natural elements such as bamboo, wood, reeds, bark, grasses and jute. The result is an artistic fusion of textures with a modern, yet ancient, appeal in varying color hues, textures, grains, knots and cracks, just like nature intended. 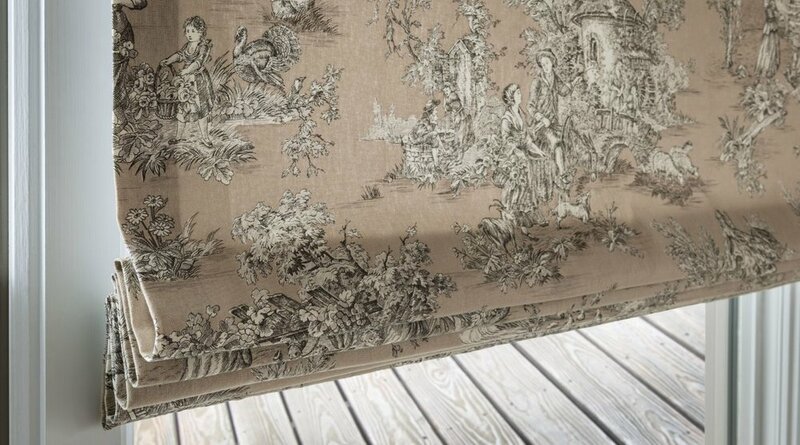 Roman shades combine the beauty of drapery fabrics with the benefit of window treatment technology. They provide clean uncluttered appearance both in and out. Fresh contemporary fabrics, colors and textures in different fold sizes and opacity options can roll up or stack with innovative lifting systems. The translucent sheer fabric vanes can be positioned fully open, fully closed or anywhere in between for the privacy control you want. Sheer shades let the sun in, while keeping harmful UV out. 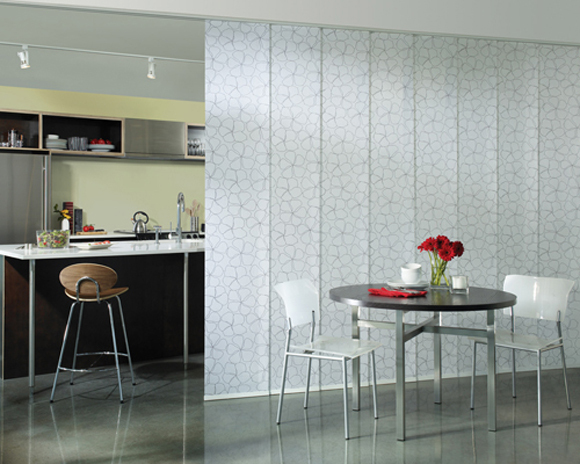 Panel track is a smooth gliding and versatile way to control light, glare, view and privacy. 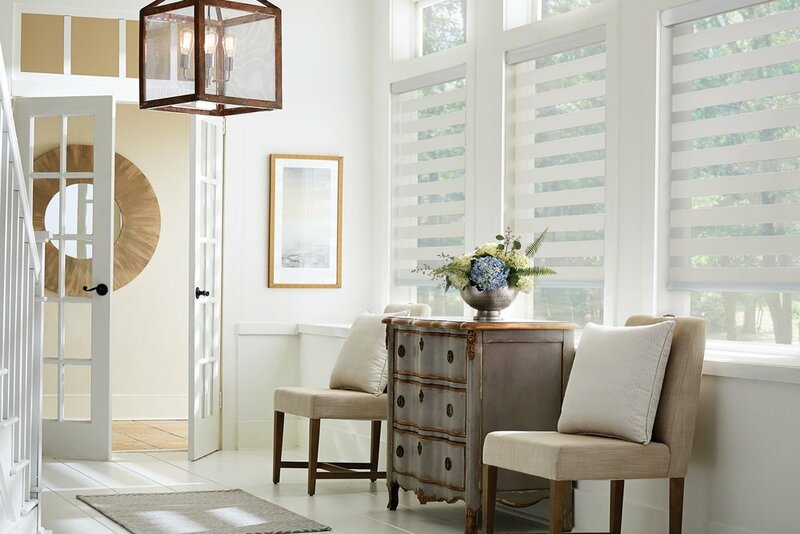 It’s a great new way to add color and drama to any room or office while still offering privacy and light control.